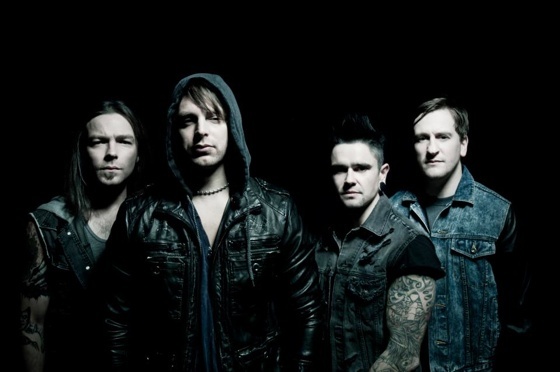 As previously reported, the members of UK metal crew Bullet for My Valentine are getting ready for a big summer tour with Slipknot and Lamb of God. Well, most of the members; it's been announced that longtime bassist Jason James has left the band. James' exit was confirmed earlier today (February 9) through the group's official Facebook page. It's unclear as to why he's out of the band, which he joined in 2003, but the rest of the outfit wish him well with future endeavors. "It is with regret that Bullet for My Valentine has to announce that Jay James is no longer a member of the band," the band posted. "Jay has been a part of this band for well over 12 years and part of our lives forever, and we're gonna miss him as much as we know you guys are too. We wanna wish him all the best and success with whatever he chooses to do next and will always be grateful for his contribution and sacrifices he made for this band." James has not yet weighed in on the decision publicly, nor has he posted anything through his Twitter page in a couple of weeks. A replacement for the four-stringer has not yet been decided upon, with the act revealing they're currently focusing on putting together their next full-length release. The to-be-detailed effort will be their first since 2013's Temper Temper. Bullet for My Valentine's "Summer's Last Stand" trip with Slipknot and Lamb of God starts in July, and will hit Montreal, Toronto and Vancouver before the summer's through. You'll find the date and venue specifics here.